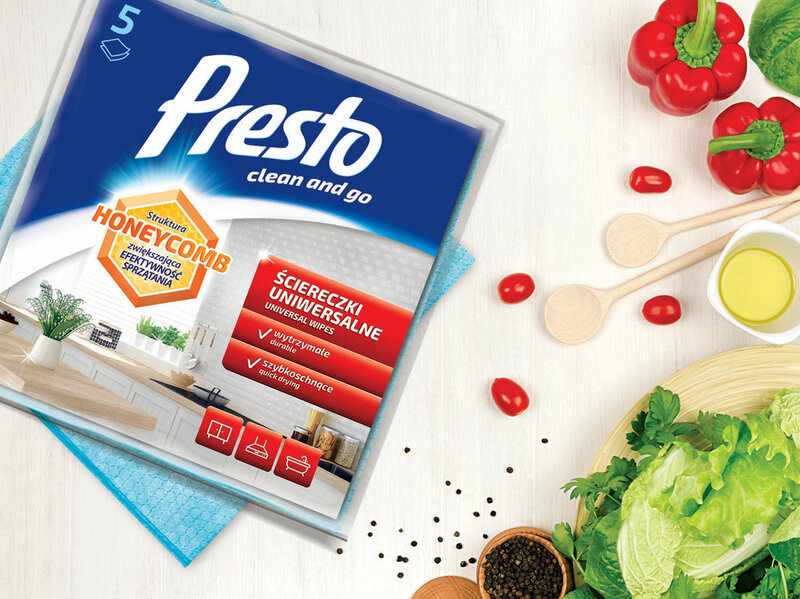 Following Presto brand’s success with wet wipes, the time has come for dry wipes. We have been invited to create labels for new products, expanding the previous range. 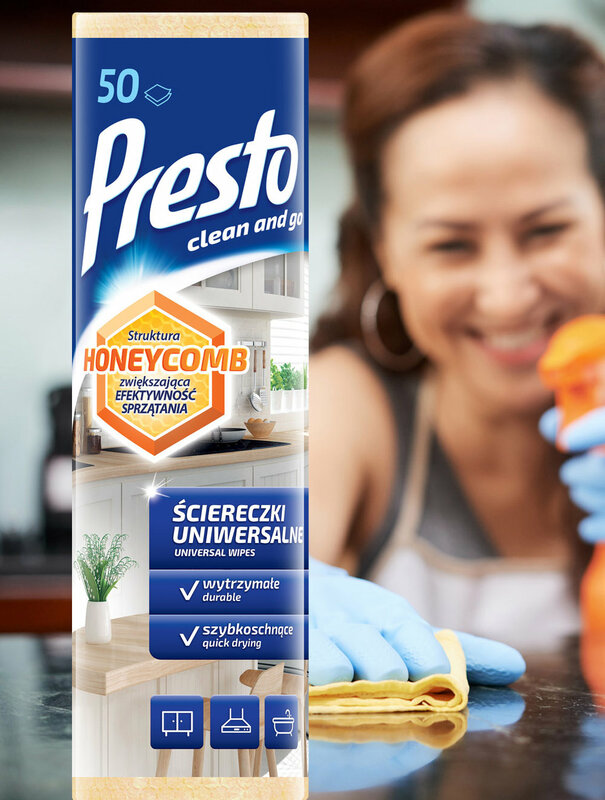 The design of new labels is in line with the established architecture, but with an added new, strong element: a honeycomb, mirroring the structure of the wipe.